So the Braves fired manager Fredi Gonzalez. It seems a bit unfair for him to get the ax after upper management decimated the team in an effort to rebuild the farm system. I figured the Braves would at least let him oversee the disaster of this season, but now they have decided to bring Brian Snitker on board to rearrange the deck chairs on the Titanic. I’m not saying that Gonzalez ever was a good manager. The Braves should have fired him the first time he trotted out to home plate with a lineup card that had the pitcher batting eighth. (I don’t care if Tony La Russa used to do it, it’s still stupid.) Or maybe they should have fired him after the collapse of September 2011 when the team blew an eight-and-a-half-game lead in the Wild Card race. Or perhaps they should have fired him after the 2013 National League Division Series when he sat in the dugout in the bottom of the eighth inning of the deciding game and watched David Carpenter give up a two-run homer to Juan Uribe while a rested Craig Kimbrel stood watching from the bullpen mound. The Braves might have been justified in firing Gonzalez after their collapse in September 2014 when the team went 4-16 down the stretch. So if the Braves stuck with Gonzalez when they actually had a chance to win, why are they firing him now when upper management knew 2016 was going to be a terrible season? It’s not like the Braves gave Gonzalez the 1927 Yankees to work with this season. They were 9-28 under Gonzalez; that’s a .243 winning percentage. Heck, at that rate they will have to improve their play to even be the 1962 Mets. At least Gonzalez and the Braves set the bar for success really low for Snitker. But the current plight of the Braves has nothing to do with the competence, or incompetence, of their manager. I could give you some numbers that show that the Braves’ offense has been really bad, their defense is fairly lousy, and their bullpen is not very good. I also could give you some numbers that show their starting pitching actually hasn’t been that bad. But a really telling statistic to look at that demonstrates just how weak the Braves have been this season is their home run total. Through 37 games under Gonzalez, the Braves had but 11 home runs as a team. The Philadelphia Phillies have the next-lowest total of home runs for a team this year with 29. Four players have more home runs individually at this point in the season than the Braves have as a team and seven more have just as many. In Gonzalez’s last game as manager, Jeff Francoeur and Kelly Johnson each hit their first home runs of the season, doubling the number of players on the Braves’ current roster who had homered this year. That’s right. As of May 17 the Braves had but four players on their roster who had hit a home run this season. 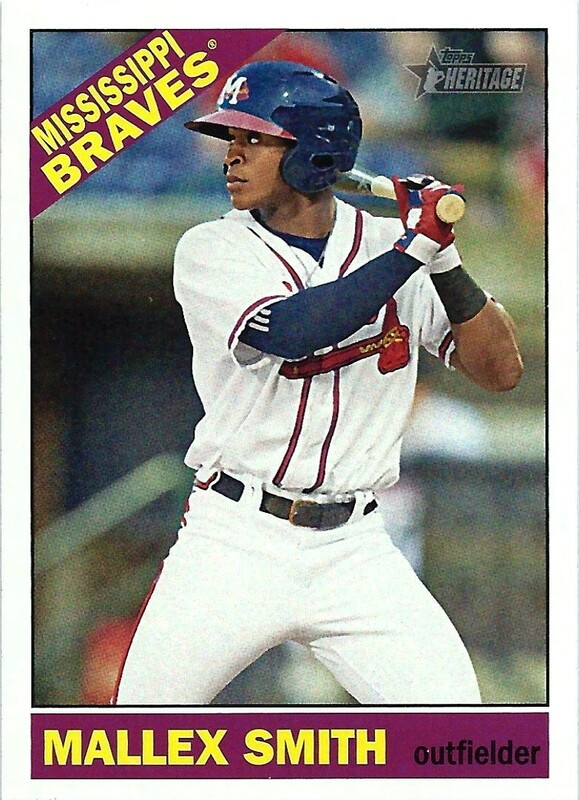 In addition to Francoeur and Johnson, Freddie Freeman had six home runs and rookie Mallex Smith had one. Drew Stubbs and Adonis Garcia each hit homers this season, but the Braves released Stubbs on May 3 and sent Garcia to the minors on May 7. The Mets have two pitchers on their roster who have homered this season. One of them, Noah Syndergaard, hit two in one game and the other one, Bartolo Colon, is 42 years old and shaped like Baloo (the Phil Harris version) from The Jungle Book. The 1962 Mets hit 139 home runs, led by Frank Thomas with 34. The 2016 Braves are on pace to hit around 48 homers as a team. I know hitting home runs doesn’t automatically make a team good, but a team that has virtually no power cannot be competitive. The Braves sent Gonzalez into battle this season with no ammunition and then fired him when he got routed. It’s painful enough to try to follow a team with a .243 winning percentage, but the lack of power from the Braves adds insult to injury. The Braves stormed into Atlanta in 1966 and established themselves as a power-hitting team. 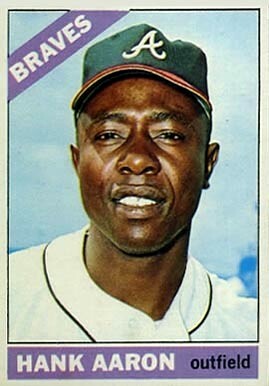 Led by Henry Aaron (44), Joe Torre (36), Felipe Alou (31), and Mack Jones (23), the 1966 Braves pounded 207 home runs. I don’t want to sound greedy by wishing for the likes of Aaron, Torre, Alou, and Jones; at this point I’d settle for the power of Gary Geiger with his four homers in 1966 or Mike de la Hoz who, with his two home runs that year, suddenly looks like a slugger. 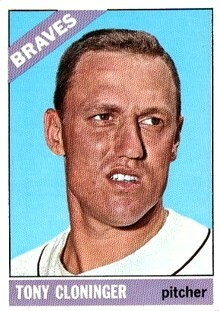 Heck, give me Tony Cloninger, a pitcher for goodness sake, who hit five home runs in 1966. Both the 2016 Braves and the 1962 Mets started their seasons with nine straight losses. The 1962 New York Mets were an expansion team, so they have an excuse for getting out of the gate slowly and finishing at 40-120. (One game ended in a tie and they did not make up one rainout.) 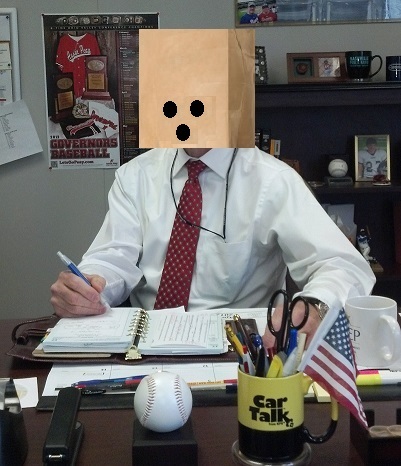 The Braves are rationalizing their poor record by reminding anyone still willing to listen that they are rebuilding. The firing of Gonzalez means they are still in the demolition phase of the project. I realize the rebuilding process can be painful for the fans. The Braves claim to be doing the same thing the Houston Astros and Kansas City Royals did to make their teams strong. It appears that the Braves now have a farm system stocked with prime prospects. But the Braves’ performance in the early part of this season points to a bigger issue. It may be time for Major League Baseball to step in with some incentives to make sure its teams are at least trying to be competitive. Maybe a team should drop a slot in the amateur draft for each game over 100 they lose. After all, a team doesn’t have to be all that good to avoid losing 100 games. When new manager, Brian Snitker, trotted out to home plate with his first lineup card, he had pitcher, Aaron Blair, batting eighth and center fielder, Mallex Smith, batting ninth. Buckle up, Braves fans. We’re in for a bumpy ride this summer. It’s only the middle of May and we’re reduced to hoping the team can win more games than the 1962 Mets. 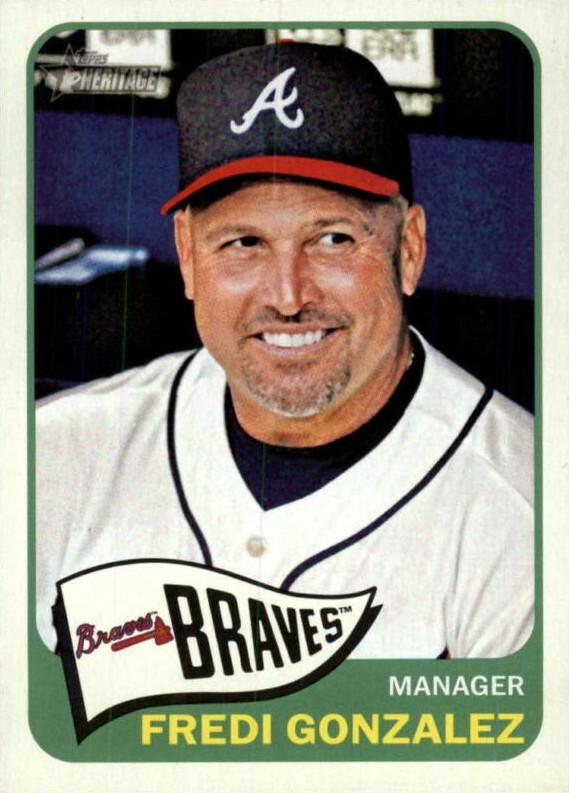 And maybe Fredi Gonzalez should be grateful that he won’t be along for the ride. Great read. Let’s hope they don’t break the Cleveland Spiders record. Brian taking this job may be the ultimate proof that he is the consummate company man. Thanks for the comments, Gary.